[center:3malhur5]In Edward Bulwer-Lytton’s novel “The Coming Race”, he tells the tale of a lowly traveler who finds himself trapped underground with the mysterious race called the Vril-ya. As I am sure you know, the Vril-ya were referred to as a semi-advanced race that used the power of a substance called Vril to give life to their underground society. Depending on how it was used, Vril could an object of destruction, or of healing and energy. We have several ties to the Vril-ya in the zombies storyline. The real question is where did the Vril-ya go, and what lead to their fate? In this grim topic, I will attempt to outline the final years of the Vril-ya. The first real clue we have to what happened to them is the steel containers found in Shangri-La. These steel drums, exactly like the ones in Kino, contain several human-like being stored within them. Housed next to these containers is a mine cart covered in unidentified bodies. If the mine tracks are followed, then one will find that the cart pushes deeper into the cave in Shangri-La with a growing amount of bodies as the tunnel goes further down. I believe these to be Vril-ya. In addition, an augmented skull is seen on the shrine to Richtofen, next to that of some form of ape. I would also imply that this too is a remnant skull of a Vril-ya. Before the genocide of this race, several sacrifices may have been made by butchering the native population that lived below ground. But why? Why would this species be eradicated from the tunnels below Shangri-La? The answer might hide in the origins of the Vril Society. The Vril Society was a Nazi occult group in World War II that believed the book “The Coming Race” to be an actual account of a real-world traveler. They sought to harness the power of Vril for themselves. Still, the butchering of the only race capable of teaching them how to harness this seems a bit extreme. The reason for this mass murder might be justified in the last pages of Edward Bulwer’s novel. Come the end of “The Coming Race” the traveler predicts that given time the Vril-ya’s population would grow too large for their underground society and would begin to press towards the surface in an attempt to reclaim the surface, although the traveler was unsure if the power of Vril would lead to the eradication of humanity. The Nazis were a society that attempted to wipe out an entire ethnicity solely in fear of Jewish immigrants controlling the bank industries. Now here was a race that threatened to wipe out humanity all together. The Vril Society must have been paranoid along with Group 935 themselves. After pressing through the Himalayas in the Nazi expedition in 1939, they came across a society of humans and Vril living side-by-side. However, due to the risk the Vril-ya presented the Germans hated them and regarded them as vermin or an infestation. Meanwhile, the large amount of 115 in and around Shangri-La suggests that Vril may actually be the use of Element 115. By why were the Vril able to use it without turning into zombies? The simple answer is found when Dempsey picks up the Focusing Stone after the Easter egg in Shangri-La, stating that it makes him feel more powerful and that he’s “sure glad it’s stable”. Perhaps element 115 is not dangerous unless irradiated? In this case, if used as merely materials it would work wonders, but once it is used to create power, it must turn into the purple plasma state seen in the teleporters and the DG-2. In plasma, atoms are moving so fast they begin to break and expel energy. While Group 935 may have used this energy to power their projects, it has proved to begin the irradiation process that causes the cancer that creates the zombies. This cancer would grow on the brains frontal lobe and begin to take control of the host, as seen in the posters in Der Riese, Richtofen fascination with zombie’s heads, and why the fish oil in Quick Revive (Which is proven to restore brain tissue) can counter the effects of 115. With the discovery of this power source, in addition to the ancient time machine that the Vril-ya had created alongside the humans, Group 935 began to seize all the element 115 in Shangri-La, in addition to the Vril Staffs that they used to employ Vril in a stable form. With the start of this second holocaust, they would have taken special interest into what made the Vril-ya different from humans. While they made the native humans work as slaves harvesting 115 until they turned from exposure to the element, they collected a set amount of Vril-ya and shipped them out to Der Riese for further examination. The real question is how a Vril Generator came to be on a submarine in the Siberian Artic. While Call of the Dead is widely thought to be a Group 935 outpost, it may really be a Soviet Submarine Base. The gate down where Speed Cola sits would be large enough to fit a small submersible into, though the underground base is frozen beneath the Ice Slide. The only real clue we have submarine itself. Upon close examination, it is shown not to be a U-Boat, but in fact a Soviet Cold War Era submarine. Study the picture closely (It's too large for this page). A unique feature of this ship is the bridge shape, a semi-circular dome atop a flat deck. The closest know Submarine that fits this description is the Soviet research sub K-27. Officially, it was only created to test deep sea reactors before a critical leak in one of the nuclear reactors left the ship unsafe. Because of this, she was scuttled off the Coast of Novaya Zemlya Island in the Artic Sea. This places an accurate location for the hidden sea base in Call of the Dead. But why would the Russian sea base be filled with Group 935 technology? 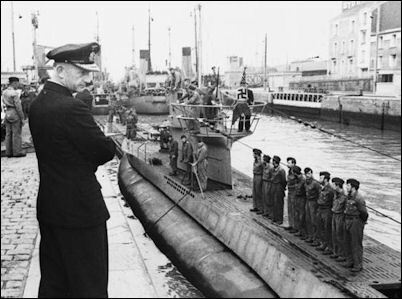 In the years before the end of WWII, the German admiral Karl Doenitz acted as commodore all German U-boat Divisions. He personally believed that the conversion of all German naval ships into U-Boats would give Germany a massive advantage at sea, and was considered by Hitler himself to be the wisest military adviser he had ever know. Doenitz and Hitler had a love/hate relationship, eventually leading Hitler himself to appoint Karl Doenitz as leader of Nazi Germany after his death. Fortunately, this never happened. The remaining members of the German government surrendered, and the German admiral was later tried for war crimes, eventual being sentenced to 10 years in prison. During his trial however, he spoke of having built "an invisible fortification, in midst of the eternal ice." Seeing as this seems to suggest some form of Artic base, one piece of the puzzle just now seems to fit into place. 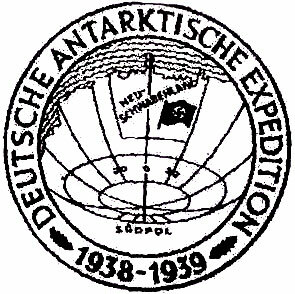 The Nazi Antarctic expedition, entitle Operation Camelot. In this this “eternal ice” the admiral seems to speak of and this “Operation Camelot” seems an awful lot like the German Antarctic base on the MP Map Discovery, no? And how does it feel to learn that the South Pole is rumored to be the easiest way to access hollow Earth, the land that the Vril-ya supposedly inhabited. I mean, bloody labs, one giant switch, and abandoned Nazi Antarctic base… This all seems very Group 935-ish to me. If German had located a steady supply of Vril/element 115, several experiments may have been conducted at this base in Antarctica before… something went wrong. From here, it also turns out the Siberian island that the K-27 Soviet submarine base was also a top secret German seaplane and U-Boat base that was put in place to spy on Allied Naval vessels. Imagine that, we have learned of an admiral who worked for Germany (which the admiral would have controlled), an Antarctic Research base (which the admiral would have controlled), and an Abandoned top secret 935 research and U-Boat base (which he would have controlled). Of course, the Soviets had to have located all this technology eventually, right? They would have found the Vril rod and the lighthouse, right? Nope. The lighthouse was clearly broken or disabled until our heroes at Call of the Dead found it, which explains why the old Russian cruiser beached itself there in the first place before becoming zombies themselves. And let’s face it; a Russian sub just happened to sink off the coast? No. I say that upon finding the multiple sunken U-Boats, the submarine attempted to recover some of the cargo, getting stuck upon the rocks of the Siberian island. In an attempt to save themselves the crew of the submarine attempted to use the Vril generator to power their submarine, but to no avail. It would not be until the crew in call of the Dead shifted the reef by moving the cargo ship that it would free the sub from the reef, causing the ballast to make the ship rise. On the other hand, maybe the Vril rod actually did help them survive all those years, and gave the crew the rod as payment for freeing them. They then pulled into the undersea U-boat facility and began to make repairs. This would explain the racket heard in the lighthouse afterwards. Oh yes, and the island that Call of the Dead was set on was the site of the largest Soviet atomic test ever devised. They really did not want people visiting that island. The bomb used to nuke the island. It was the largest warhead ever used. So we have explained the appearance of the Vril rod, but what about the last of the Vril-ya. The answer to this question might make you stop and think for a moment who was right in all this, even if the Vril-ya threatened to wipe out humanity. The cranial deformations would have been an item of interest, and the warthog tusks extracted from dead warthogs in Shangri-La had to have gone somewhere. Perhaps it was to prove a point that humanity was superior but ruining the other race into mindless beasts. After an extensive amount of genetic modification and surgical procedures, I give you the remaining members of the Vril-ya. Never new that about Quick Revive, how'd you figure that out? I kind of knew about the Fish oil because Dempsey said it tastes like fremented Herring dipped in Cat Piss lol. Holy s***. Pardon my language but this post is amazing. It explains everything CoTD, I love it so much. BEAUTIFUL!! I love this thread [brains] [brains] [brains] [brains] [brains] lovely juicey pink brains 4 you! [center:gdzf50jp]I replayed the mission Numbers and realized that in the background of the opening sequence there are documents of the Soviet submarine that was scuttled, along with a record of the Tsar Bomb. That means the connections I found in here aren't just coincidence, Treyarch knew of these events and center CotD around them! God, how could we have missed this for so long!? Hey Faust, after hearing the moon radios, do you still think that the whole Group 935 found Shangri La or just Richtofen and his 'lackeys'? This has actually been picking my mind appart recently. When Maxis is teleported to Griffin Station, he seems to have no clue where he was, calling it "That wretched tunnel." If Maxis was teleported to Shangri-La, where he was forced to learning the ways of vril and the nine eyes of light from the scriptures while fighting for his life, the Richtofen must have returned to Shangri-La to collect the Vril-ya. He needed an entire race to power the MPD, and the Vril were going to give it to him. 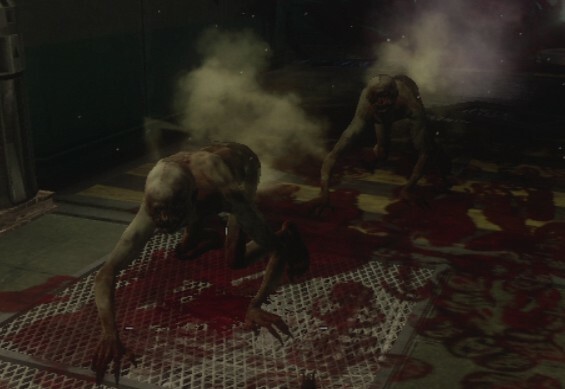 Whatever Vril had the life sucked out of them were sent to Kino Der Toten. Somehowever, remained on moon without the Vril having been taken from them, explaining why they can use the power of Vril to phase in and out of space-time. How do we know that Maxis was teleported to Shangri-La? By saying "that wretched tunnel" he could mean Aether right? All I know is that Maxis managed to create the shrink ray some time before he was sent to the moon, but he previously had no idea about the existence on Shangri-La. I doubt he was sent to Aether, as he would have been inside the pyramid with Samantha, and Samantha was teleported to a location aswell, Griffin Station. Well he was stuck in some tunnel, so maybe he was actually sent to Shangri-La? I mean when Richtofen was teleported he landed in Griffin Station and then in Shangri-La, so maybe while Sam went to the Moon, Maxis went to Shangri-La and made the Shrink Ray?